Ian Bolsover was tragically killed overtaking a vehicle in Halfway. His funeral was held at Kirkcroft Lane Methodist Chapel & he was interred in the graveyard at St Giles. A good school friend with whom I shared many “adventures!” Ian left this world in his late teens. I don’t have the original photograph of this because Frances Shaw sent it to me from America. 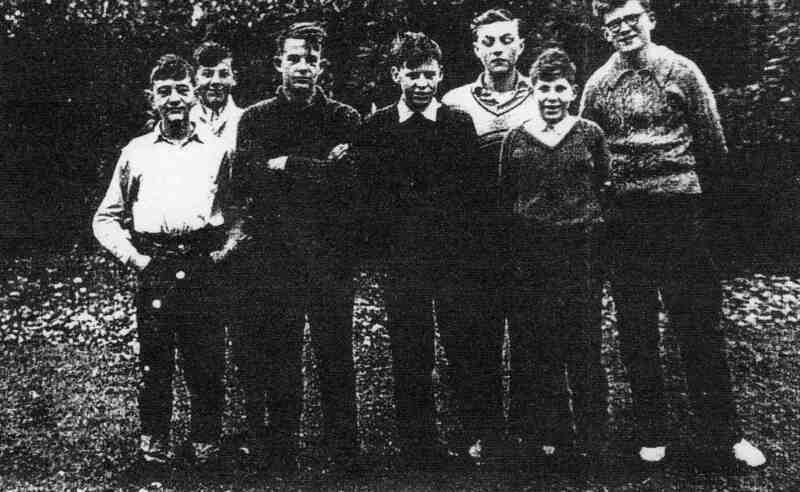 It was taken in 1959 at the outward bound training centre which was just outside Buxton. From left to right: Terry Ellis, Alan Roper (I think), Ian Bolsover, Stuart Tyas, Terry Cawthorne, Terry Beech and Frances Shaw.